Excitement continues to build for the launch of Scouts BSA, the new name for the program that will welcome boys and girls in separate troops beginning in February 2019. I’ve heard from adult volunteers who are so eager to get started that they’re already doing some advance work. They’re talking to their chartered organizations about starting Scouts BSA troops for girls. They’re updating their training and recruiting new adult volunteers. And they’re holding informal gatherings for girls, families and volunteers to outline a plan for next year. As February nears, the BSA has released some guidelines to help you know the right way to refer to Scouts BSA and the girls who will join. The guidelines apply to conversations, social posts and recruiting materials like flyers. As the BSA’s Chief Scout Executive Mike Surbaugh shared on his blog last month, the Girl Scouts of the USA has filed suit against the BSA. The suit is over the BSA’s use of the terms “Scouts” and “Scouting” when referring to girls who have and will be joining the BSA’s programs. Surbaugh encourages Scouters to review the do’s and don’ts about Scouts BSA, outlined below and summarized in this handy infographic. They should answer any questions you might have about how to refer to girls who join Scouts BSA troops. Do … use only official Boy Scouts of America (BSA) materials, which are located on the BSA Brand Center. We’ve seen some well-intentioned assets developed by Scouters as they prepare to welcome girls that include problematic phrasing like “we’re starting a girl Scouts BSA troop.” Instead, you’re asked to use the downloadable email templates, flyers, postcards, posters, social media images, troop cards, videos, web banners and more available on the BSA Brand Center. Don’t … use names, programs, marks, logos or images of the GSUSA or combine them with those of the BSA. Don’t … use the word “girl” in front of “Scout.” Don’t say, for example “girl Scouts BSA troop” or “girl Scouts.” This includes in flyers, conversation, social media, etc. Join Troop 123 for girls. Our church has a boy troop and is forming a girl troop. Join the BSA. Find a troop for girls near you at BeAScout.org. Do … remember that the BSA and GSUSA are separate organizations. The BSA is a member of the World Organization of the Scout Movement. GSUSA is a member of the World Association of Girl Guides and Girl Scouts. If those around you say or suggest otherwise, politely correct them! Don’t … disparage other youth-serving organizations in any way. We want all youth-serving organizations to succeed in their efforts to help make the world a better place. Do … refer ALL media inquiries (TV, radio, newspapers, online) to the BSA PR team by email at pr@scouting.org. Do … refer all questions about GSUSA programs to the local GSUSA council or GirlScouts.org. Do … review the Scouts BSA Brand Guidance Training available on the Family Scouting page under “Scouts BSA Program Resources.” You’ll learn about the best terminology and practices as you prepare to launch Scouts BSA troops in February. Remember the fifth point of the Scout Law and be Courteous at all times. 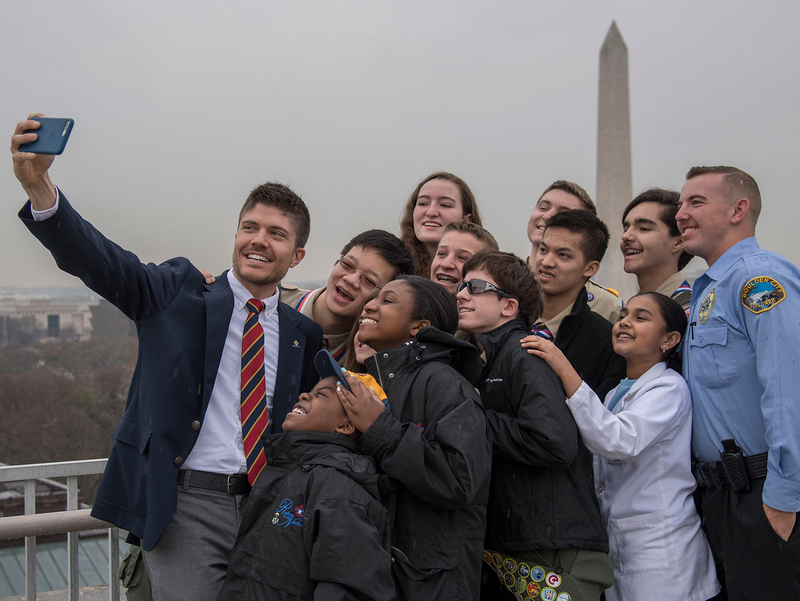 The Boy Scouts of America applauds the work of the GSUSA in service to our nation’s youth and is committed to respecting the organization’s rights and programs. Want a version of this that you can share with your fellow parents and Scout leaders? Consult the training at the BSA’s Family Scouting page (under “Scouts BSA Program Resources”) and this PDF, which can be printed and distributed at an upcoming committee meeting or similar gathering of adult leaders.